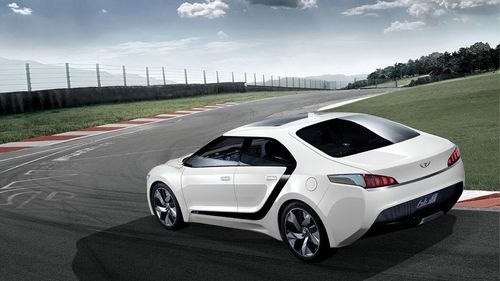 The Hyundai Blue2 is a fuel-cell electric vehicle concept revealed at the 2011 Seoul Auto Show. The name is a combination of "Blue Drive" and the "2" from H2, the symbol for hydrogen gas. The Blue2 concept has a gas-mileage equivalent of 82 mpg.